Late 19th century France sometimes was not a friendly place for the then-considered-radical impressionists. This book analyzes how the friendships and family lives of the impressionists (such as Monet, Manet, Bazille, and Renoir) were influenced by societal expectations and political events. Their art was unprecedented, and while society may have been slow to accept it, they continued with their work, and today it is revered. This book, beyond being a biography, is a commentary on friendship and rebellion. For this reason, I found it very enjoyable. Sue Roe provides ample descriptive details while also explaining interesting historical facts. By learning about their political, economic, and social tendencies, and by analyzing written records of the painters themselves, the reader is provided with a detailed characterization of each individual artist. I would recommend this book to anyone interested in art or history. The writing is somewhat slow, since it is essentially a history book, however the content is extremely captivating and worth the read. The Graveyard Book is about a boy named Nobody Owens (often shortened to Bod) who was adopted by the ghosts in a graveyard after his family was killed. He has to learn the secret abilities of the dead, but once he leaves the graveyard, he has to confront the man who killed his family. 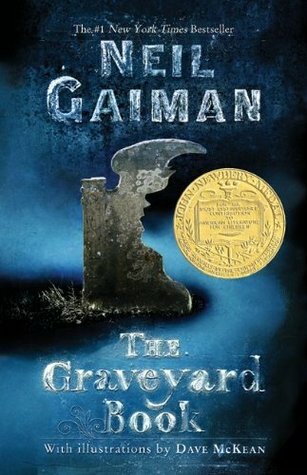 The Graveyard Book was very thrilling and ominous, but still had humor and was hard to put down once I started. I personally liked its compelling and well-done artwork, which really matched the atmosphere of the book. It is definitely one of the more creepy books, but anyone who can accept that will be satisfied. I highly recommend it. Claudia and Jamie Kincaid have run away from home to--of all places--the Metropolitan Museum of Art in the Big Apple. As they explore the museum's nooks and crannies, they eventually discover something bigger: a little mystery to solve and a secret to call their own. This has been one of my favorite books for years since I was in middle school, and it still is. It's a short read, but is absolutely enthralling and never ceases to draw me in every single time. Anyone of all ages can read this. It's an easy, relaxing read! If you liked watching Night at the Museum, you'll definitely like this book. The novel ,Girl with a Pearl Earring is actually inspired and was named after a real painting. The novel is based on a servant girl, Griet, who becomes an assistant to a painter, Johannes Vermeer, whom she greatly admires and secretly loves. Girl with a Pearl Earring is a stellar novel that takes the reader into the world of art and its amazing history. Griet behaves and looks like a shy and modest girl but, when threatened and severely angered, she can become a fierce animal. This novel proves that you should not judge a book by its cover. I hghly recommend this book to others because even though you might not be into art history, you will love it after you read this book. The author, Tracey Chevalier, makes art history fun and interesting. So, If you like books that not only contain romance, but are also educational, read this book!